Apple and Nike – iNikes or the SwooshPod – Either way – "Just Crank It"
With the global markets in turmoil, I have spent the last week checking in on my favorite themes to see which ones I want to add on further weakness. I keep coming back to the Apple theme. Apple and Nike is all about the iPod, Apple and Steve Jobs. Nike has to build and market and distribute everything. Apple keeps selling Ipods and selling singles on iTunes. Not a knock on Nike because it is a smart partnership, but Apple is the huge winner here. Job’s just took their brand to the next level in global distribution without sacrificing the cool factor. Let’s face it, Nike has done an amazing job at staying cool through the years. Get ready for the TIGERPOD golf shoe. 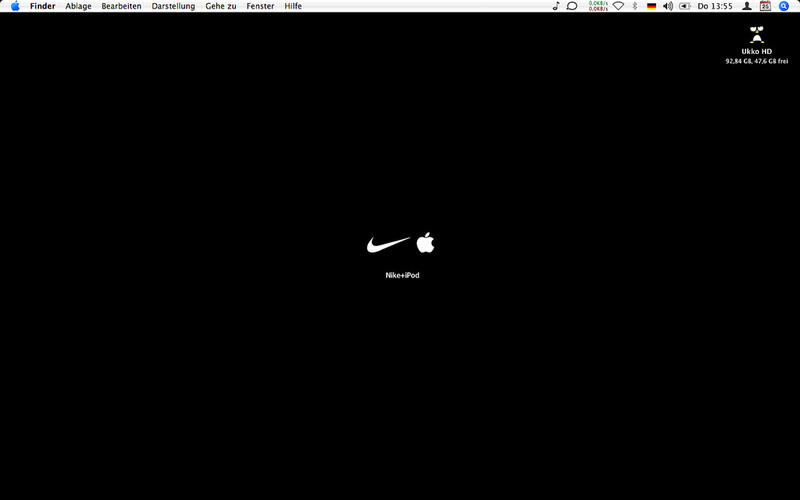 Nike just landed as my new favorite for the Apple hostile takeover bid. They have the global reach, the money, the brand and the coolness to complete the Apple parlay of fashion and technology. This merger would be 1+1=4. I am shocked that Warren Buffett has not made a huge investment here. It is a fashion and consumer staple company now. How is iTunes differnet than Gilette Razor Blades. For that matter, Berkshire is now number 2 in line for an Apple takeover. How about 5 free iTune downloads with your next Gillette sensor purchase (iSensor). Warren Buffett needs to get over his relationship with Microsoft’s Gates and take the Apple plunge. Back to Nike. Here are some cool shots of the Nike shoe and iPod . 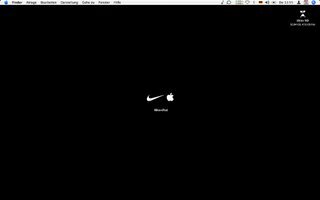 This initial Nike/Apple announcement announcement did not excite me. BUT, for Apple it further removes another vulnerability – EYEWEAR. I fully expect a Nike/Apple range of sunglasses to be announced in the next 3 months. Oakley’s Razers awful attempt at distribution left an opening for Nike to own this NEW space and finally take Oakley on in the eyewear market. In fact, Nike should buy Oakley right away to speed things up. As you can see, the fashion possibilities are now endless. Apple is a growth story for the next decade. Hope for dips at this point. Next stop – Sirius and Howard Stern! UPDATE – Get used to these stupid mainstream media stories about Apple tarnishing their image . THEY ARE WRONG! The hypocrite trend continues for BUSH. Motorola Q – the Q is for question mark?